Help spread the word with a RT, we're now simply "@dci". Keep up with the latest Drum Corps International news, info, discussions and more on Twitter! We've recently made it even easier to join in on the fun. What was once @DCI_Tour, can now be found at the easier and shorter @DCI. Help us get the word out! 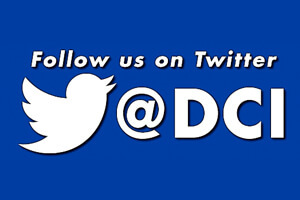 Promote our updated Twitter handle by using @DCI in your #DCI tweets. e.g. "I can't wait to see a @DCI show this summer!"